South Africa, Namibia. 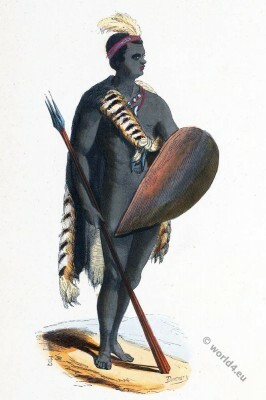 Bantu, Xhosa warrior. This entry was posted in 1843, 19th Century, Africa, Namibia, South Africa and tagged Auguste Wahlen, Traditional South Africa Costume on 6/1/15 by world4. 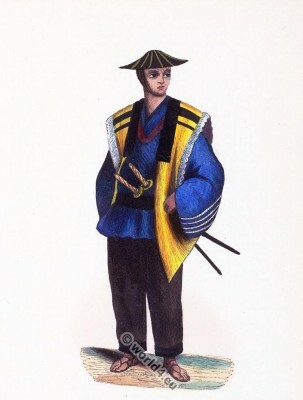 Traditional Japanese soldier uniform, 19h century. This entry was posted in 1843, 19th Century, Asia, Japan, Military and tagged Asian military, Auguste Wahlen, Japan Military on 3/5/15 by world4. Japanese rider, 19h century. 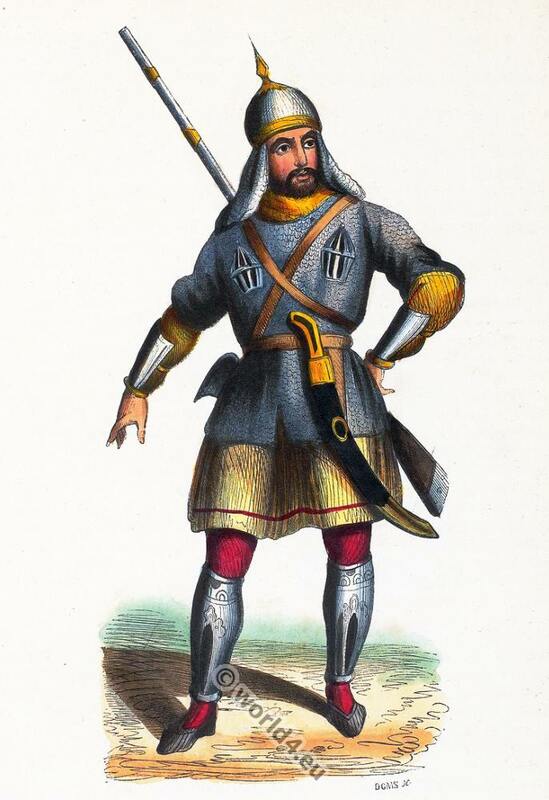 Cavalier Japonais. 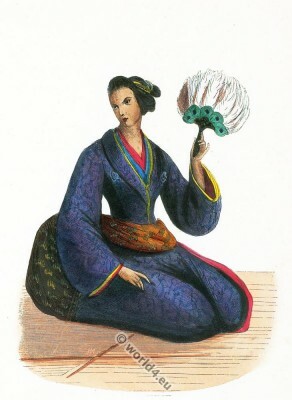 Japanese rider, 19h century. Samurai. This entry was posted in 1843, 19th Century, Asia, Japan and tagged Asian military, Auguste Wahlen, Japan Military, Traditional Japanese costume on 3/2/15 by world4. Japanese lady in kimono. Japan 19th century costume. This entry was posted in 1843, 19th Century, Asia, Japan and tagged Auguste Wahlen, Traditional Japanese costume on 2/28/15 by world4. Sub-officer costume of Cipahys. Hindustan 19th century. 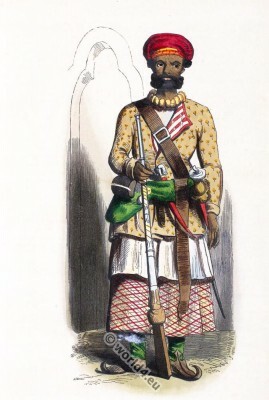 Sub-officer, Sepoy officer of Cipahys. Hindustan. This entry was posted in 1843, 19th Century, Asia, India, Military and tagged Auguste Wahlen, India military uniforms on 2/27/15 by world4. 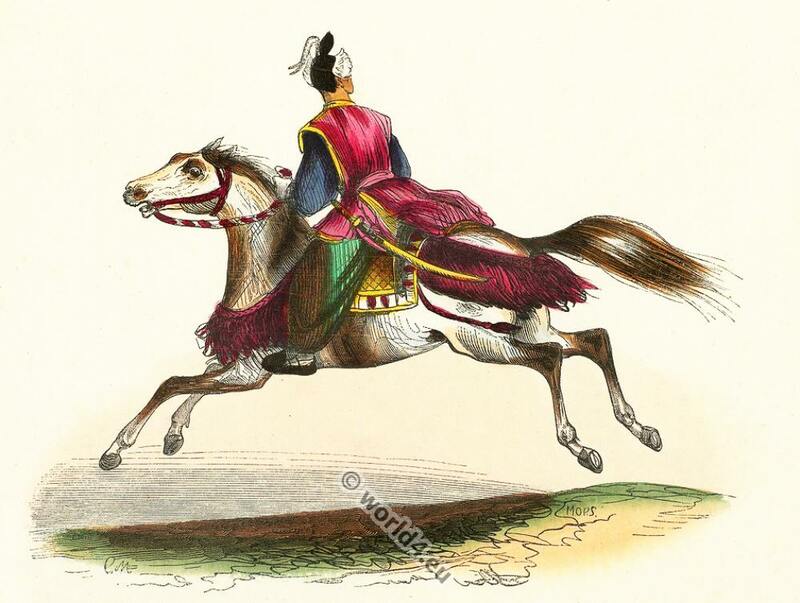 This entry was posted in 1843, 19th Century, Asia, Kyrgyzstan, Military and tagged Auguste Wahlen, Traditional Kyrgyz costumes on 2/21/15 by world4. Chinese monks costumes. Bonzes chinois. 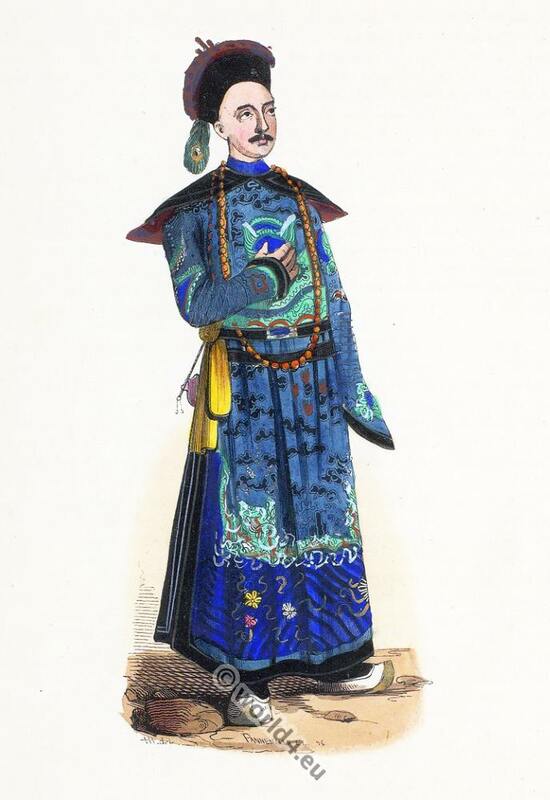 This entry was posted in 1843, 19th Century, Asia, China, Ecclesiastical and tagged Ecclesiastical Dress, Traditional Chinese costumes on 2/16/15 by world4. 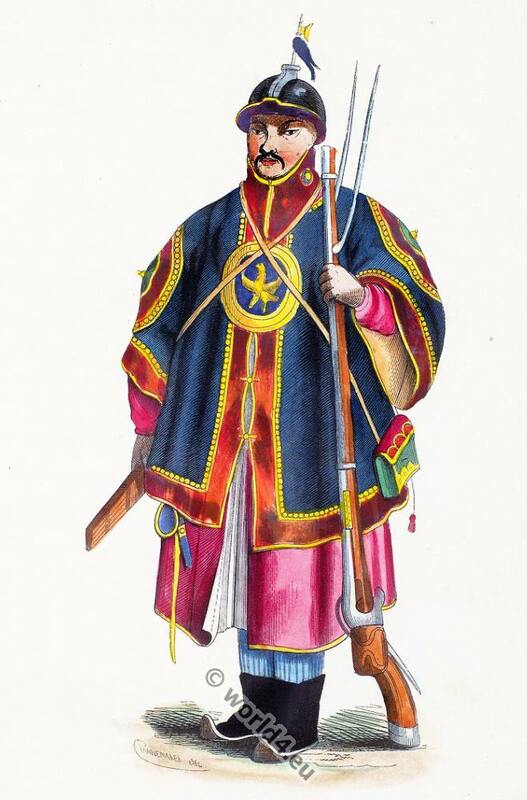 This entry was posted in 1843, 19th Century, Asia, China, Military and tagged Auguste Wahlen, Chinese Military Costume on 2/15/15 by world4. Marchant Chinois. 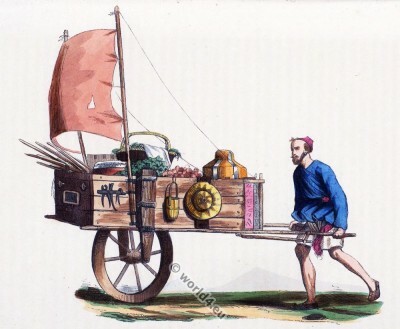 Voiture à voilà, 1843. This entry was posted in 1843, 19th Century, Asia, China and tagged Auguste Wahlen, Traditional Chinese costumes on 2/14/15 by world4. This entry was posted in 1843, 19th Century, Asia, China, Nobility and tagged Auguste Wahlen, Traditional Chinese costumes on 2/13/15 by world4. 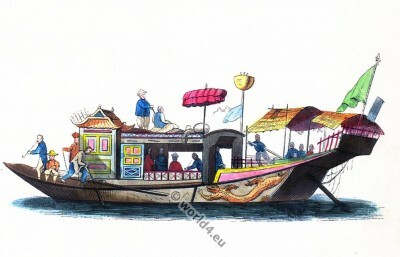 Jonque chinoise. 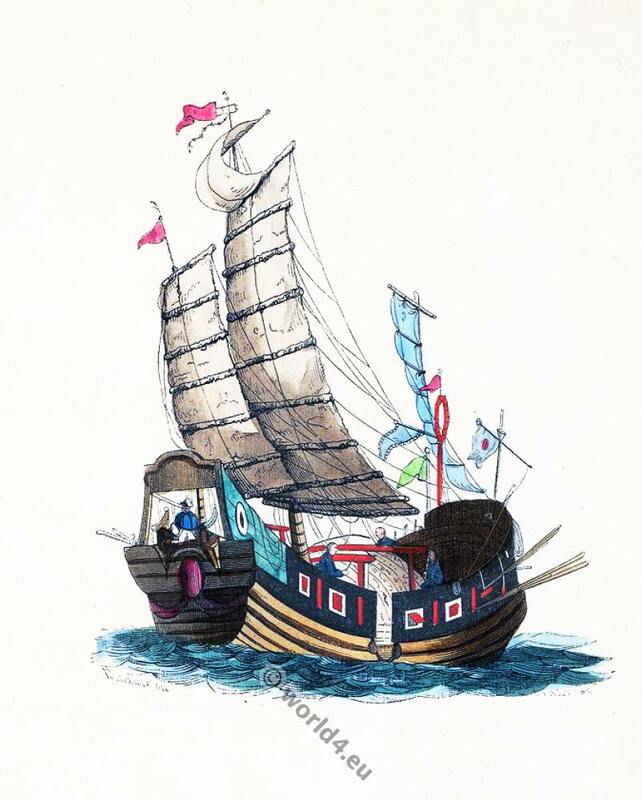 Chinese junk ship, 1843. 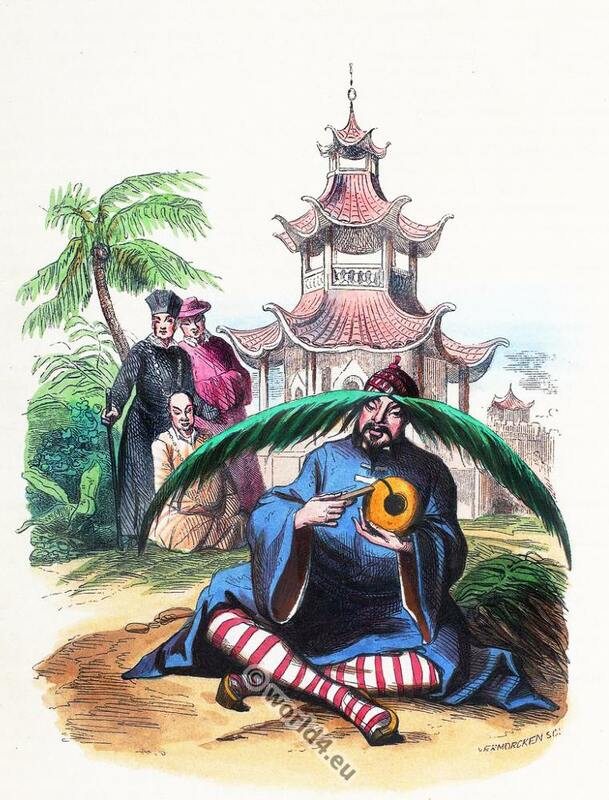 Jonque chinoise. Chinese junk 1843. This entry was posted in 1843, 19th Century, Asia, China and tagged Auguste Wahlen, Traditional Chinese costumes on 2/12/15 by world4.